WORKSHOP - ARTE AMAZONIA provides a global voice through art for the indigenous cultures of the Amazon. through a direct encounter with indigenous rainforest objects. instead, let us come to you! inspire students and teachers alike, then please register to receive full details this program. Is your school or organization interested in our Fundraising or Fair? If so, you receive up to 30% back for your school or nonprofit by purchasing natural jewelry, rainforest seeds, musical instruments, and cool stuff for Jungle-Kids ! 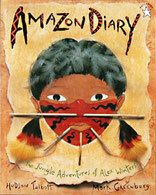 Write us: info@arte-amazonia.com for deatils be sure to include the name of your school or group.